World debut for an iconic roadster. Mazda holds a special place in the hearts and minds of certain car owners and it is for that reason it still manages to attract a decent following, largely on the strength of three models: the Mazda6 sedan, the CX-5 crossover and its best-selling Mazda3 line. While these three models provide the volume, it is the iconic MX-5 Miata sports car that places the halo over the brand name. That honor was once shared with the RX-8 but production of the rotary-driven sports car ceased in 2012. The Miata will carry the torch alone for now or until Mazda dusts off its rotary technology, something that has been rumored it will do. 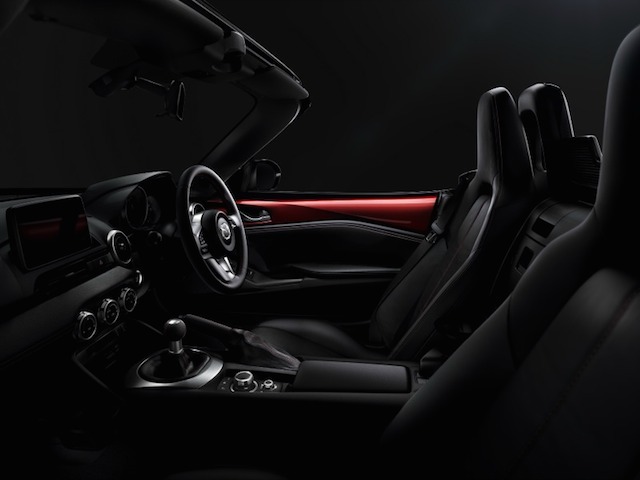 Last night, Mazda introduced the fourth generation Miata, a two-seat rear-wheel drive sports car that upholds the tradition while reaching out to an entirely new generation. Simultaneous events in Tokyo, Barcelona, and Monterey, Calif., welcomed the new roadster with 1980s music group Duran Duran performing live on the west coast. That made for a big introduction for a model that recorded just 5,780 US sales in 2013 according to Good Car Bad Car. The Miata, however, is more popular elsewhere — attracting a loyal following in Europe as well as in its home country, Japan. Even should US sales stay between 10,000 and 20,000 units or about half of what were sold during its peak years, the benefit of having such an attractive model in the lineup will most certainly lift the entire Mazda brand. Most likely the new model will do quite well. 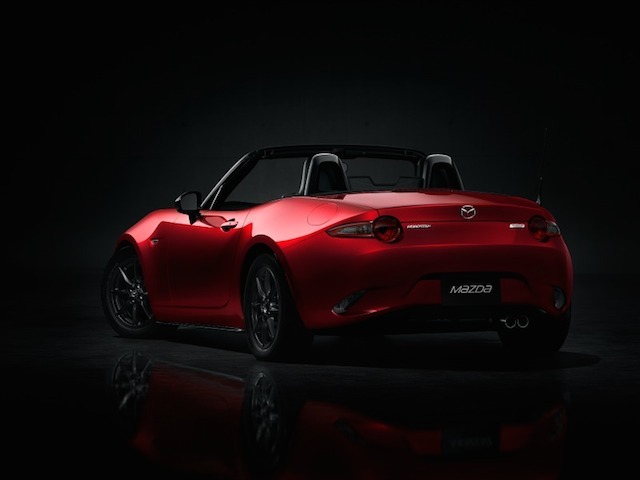 It was at the Chicago Auto Show in February 1989 when Mazda took the wraps off its all-new Miata roadster. 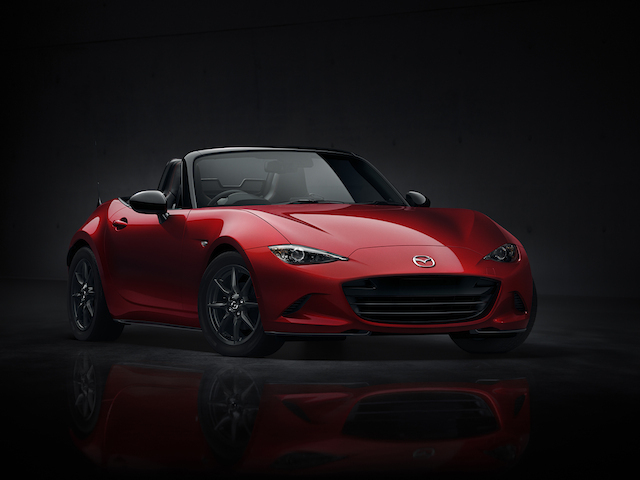 The idea for the Miata was presented to Mazda by an American journalist, Bob Hall, who shared a rough sketch of the proposed model to Kenichi Yamamoto, head of Mazda’s Research and Development department. Hall was later hired by Mazda’s US design team, but worked on other projects before his involvement with what eventually became the Miata. New Miata customers will, indeed, be rewarded with a darling sports car just as previous generation owners have been. 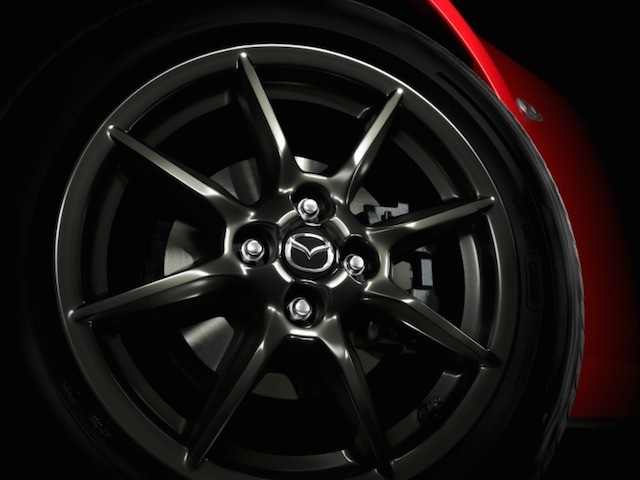 Mazda says that the 2016 edition — due to hit the market in early 2015 — embodies the SKYACTIV TECHNOLOGY of its other models, representing fuel efficient engines and transmissions as well as stiffer bodies. Mazda’s KODO design language is evident in the roadster’s body and interior for the most compact iteration of this iconic roadster. 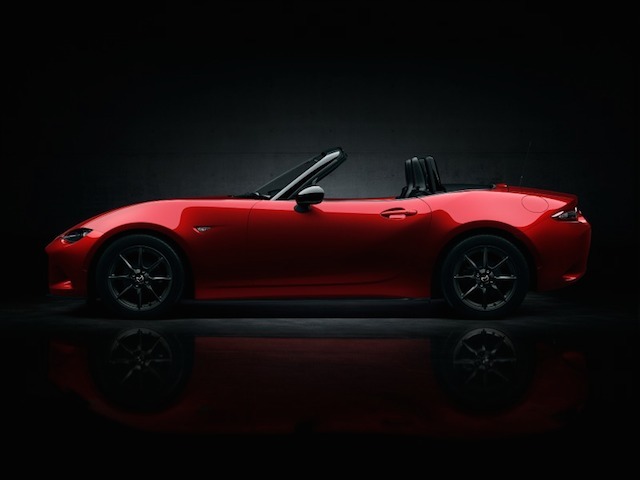 The 2016 MX-5 Miata weighs 220 pounds less than the current model what Mazda says will improve its driving fun. More information about the Miata will be released closer to its release date. In the meantime, enjoy the photos supplied here courtesy of Mazda Motor Corporation.